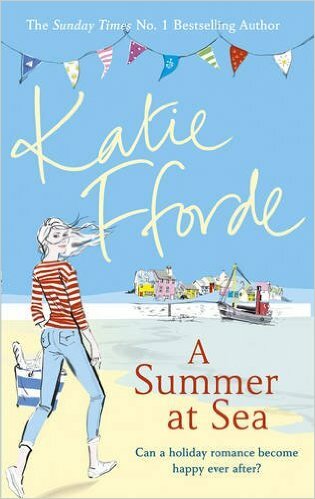 Katie Fford does wonderful chick lit, you are guaranteed refreshing escapism. This story is particularly engaging and a good introduction to those who may be new to her style of writing. Fford's stories are heart-warming, tackle real life issues and often set against interesting back drops. On this occasion, the spotlight is on Scotland and the scenic descriptions make it a place you would long to visit. I found Emily, the main character, to be strong and directed, something many women could relate to. She knows what makes her happy and fulfilled, whilst being caring and considerate at the same time. She makes this story real and relatable. "I just want to stay single, living on my own, pleasing myself". Then there are the many secondary characters who add much to this Scottish tale. Fford does a wonderful job in creating a real sense of community that makes this a relatable book for many, or at the very least, a community of people you would love to become a part of. "Fair Isle wool would be too scratchy for a baby anyway". This is chick lit so there is nothing too taxing for the brain, just a lovely tale with great characters, set in a wonderful location. You know where it's going but you are happy to take that journey. My only complaint concerns a couple of things. One, Emily's BFF continually repeating her need for Emily to stay became a bit tiresome. Then towards the end there is an argument that I was disappointed by, as I found it a bit ridiculous in my humble opinion. However I did not want it to detract from what I felt, overall, was a good bit of escapism. Besides, there was reference to lots of tea drinking, something this tea lover did whilst reading another Fford winner. "I'd never get back to sleep after what you told me so I thought: tea!" 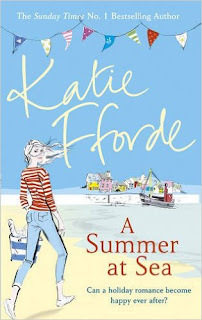 I like Katie Fford's books: they are engaging, easy to read and flow well. I think A Summer At Sea is an entertaining and romantic read that I recommend to those in need of a light hearted weekend escape. Sounds like a very pleasant read. I like this author as well.